You read my mind! I've been meaning to write you and thank you for everything and the days just go by! So a belated but heartfelt thank you! It was and amazing trip; You did a great and detailed job with the organization and everything went down very smoothly. Peru is such a beautiful country and we had the time of our lives! 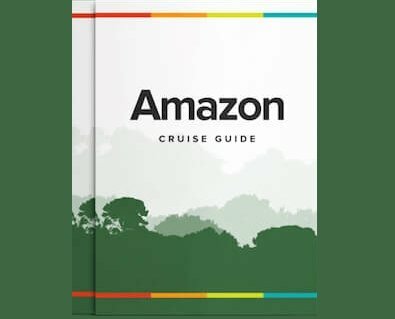 The Zafiro Amazon cruise was a highlight we were a bit surprised we were the only passengers on the ship but one can easily adjust to having a staff of 24 at their service! They went above and beyond to make the trip unforgettable and the amazon region is magical. The Machu Picchu and Sacred Valley tour was also fantastic, although in retrospect I should have followed your advice to fit in the extension to Colca Canyon or Lake Titicaca. Machu Picchu, Ollantaytambo and Pisac are breathtaking. We were surprised that Machu Picchu is becoming as crowded as Disneyland, you had to get in line at 4:00AM, so if any of your clients can afford to avoid high season that is recommendable! Doing one of the mountain hikes is also a good way to enjoy the beauty and energy of the site without the crowds! Another tip is to get there later and stay until they close. Anyway thanks again for all the help, patience and work to put together a fantastic trip. I'll make sure to send your way any friend that I know is planning a trip to Peru!